What Is the Best Way to Straighten Crooked Front Teeth? Cosmetic Dentistry Center Blog What Is the Best Way to Straighten Crooked Front Teeth? Do you have one or two crooked front teeth or perhaps they are just slightly overlapping? If so you might have wondered about the best way to straighten them. 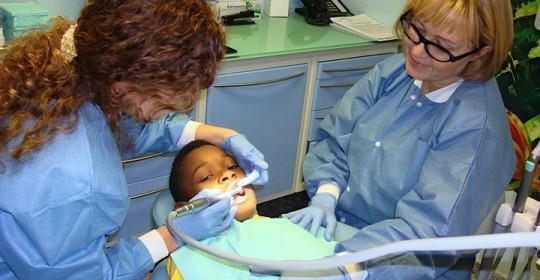 In fact you have several choices to consider, all of which are available at the Cosmetic Dentistry Center. What Are Possible Solutions for Straightening Slightly Crooked Front Teeth? The first option of straightening crooked front teeth, dental bonding and recontouring, is perhaps the most straightforward. 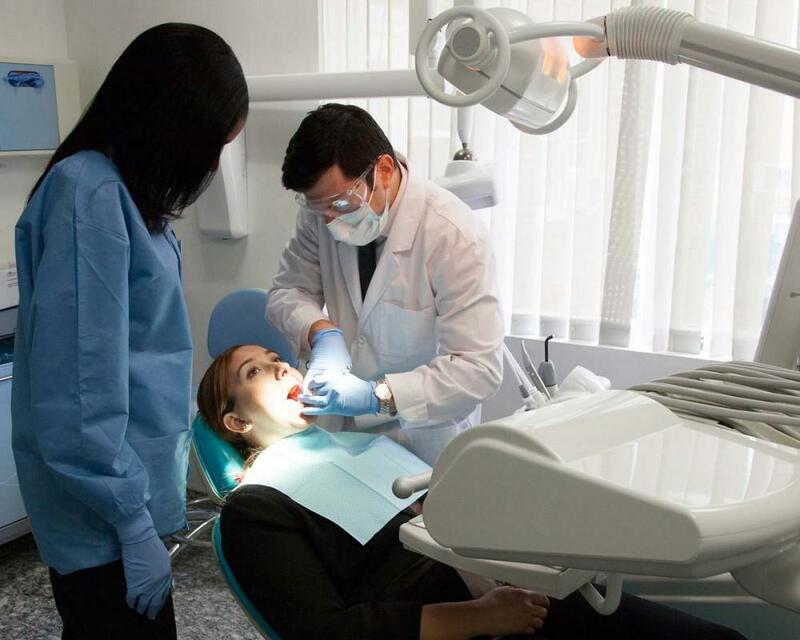 This is where your dentist at the Cosmetic Dentistry Center will remove a tiny amount of tooth enamel from the front surfaces of your teeth to gently reshape them. This can deal with minor cases of overlapping teeth, or where teeth are very slightly protrusive. The procedure can also use tooth colored composite resin to change the overall shape of the tooth. There are lots of different shades to choose from, so the color can be closely matched to your natural tooth color. 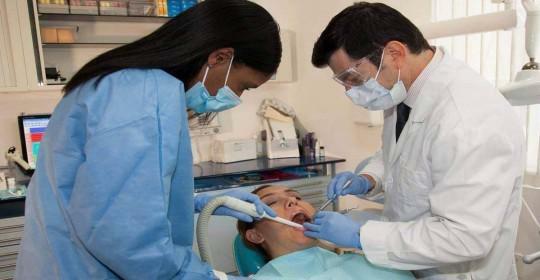 The advantage of this treatment is that it is quick and cost-effective. You will need to be prepared to renew any areas of composite resin every few years as this material can become stained. If you opt for this solution when straightening crooked front teeth, then your dentist will need to prepare your teeth, removing some tooth material under a local anesthetic. Once the tooth is reshaped then impressions are taken and used to fabricate the crowns or veneers for crooked front teeth. Porcelain veneers can be used to reshape teeth that are slightly protrusive or overlapping, while porcelain crowns might be more suitable for teeth that perhaps already have fillings and are not strong enough for veneers. 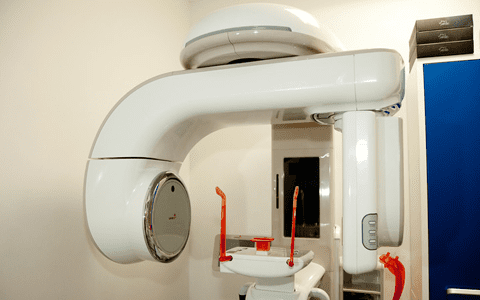 These restorations will last a lot longer than dental bonding and will not stain. This last option of straightening teeth might seem a bit extreme for teeth that are only slightly out of alignment, but these days it is possible to use what are sometimes called ‘cosmetic braces’ and which only concentrate on moving teeth that are visible whenever you smile or talk. This generally means the six or eight front upper or lower teeth. Orthodontic systems such as Invisalign produce ‘Express’ versions of their braces, where crooked front teeth treatment is completed in a matter of a few months. Invisalign is s system that uses clear plastic removable aligners to move teeth, and which are virtually invisible. The advantage of using orthodontics is that your natural teeth will not need to be reshaped or ground down, so it can be the most conservative option. You may want to consider orthodontics if your teeth are generally a nice shape and color but are just slightly out of place. Choosing an option for fixing crooked front teeth can be a tricky decision to make. 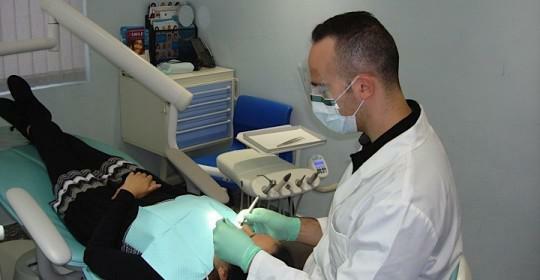 The best way to find out for sure is too book a consultation with a cosmetic dentist at the Cosmetic Dentistry Center. We can examine your teeth and will discuss all possible options with you so you are able to make an informed decision and choose the best procedure for correcting crooked front teeth.